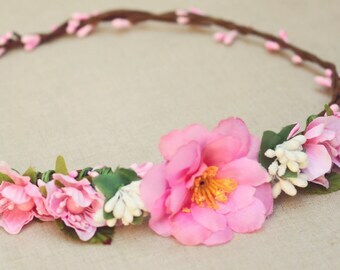 We make these beautiful handmade Flower Crowns! Pink and white flowers in the front, come together with vines and pink and white sprouts. 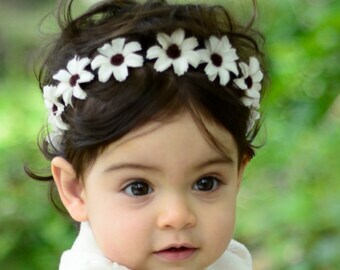 With a cute woodland, flower look. 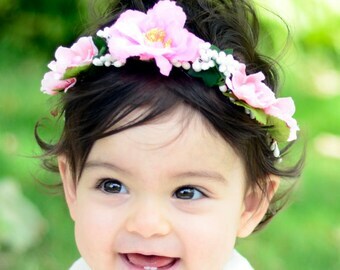 This flower crown will make your child look amazingly cute!!! 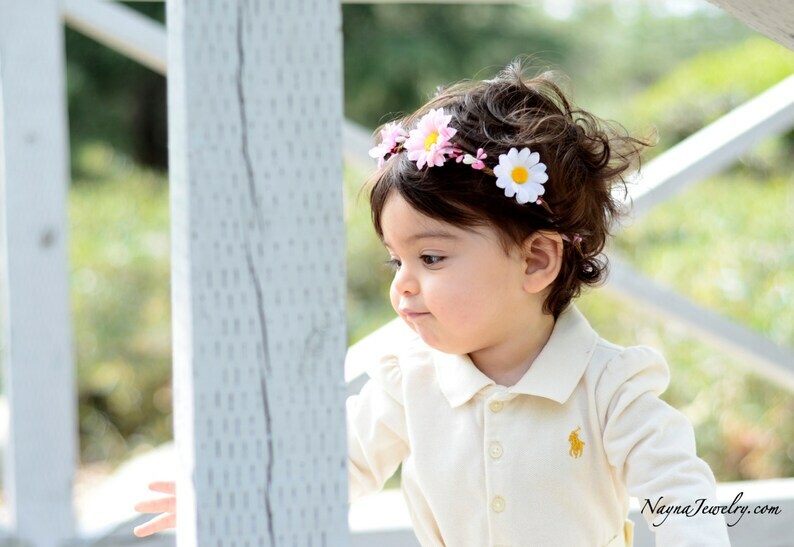 Perfect for weddings, parties, flower girls, photoshoots and more!